^ Dublin City Council ''Dublin City Coat of Arms'' (retrieved 15 February 2009. Dublincity.ie. [2010-06-17]. ^ 2.0 2.1 Census of Population 2011 (PDF). Preliminary Results. Central Statistics Office: 21. 2011-06-30 [2013-05-25]. ^ Primate City Definition and Examples. [21 October 2009]. 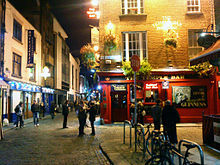 ^ Dublin City Council – Facts About Dublin City 互联网档案馆的存檔，存档日期2012-01-18. ^ Climatological Information for Merrion Square, Ireland. European Climate Assessment & Dataset. ^ Dublin City Council – ''Facts About Our Parks''. Dublincity.ie. [2012-01-14]. （原始内容存档于2012-01-19）. ^ 10 things that the GAA's new director-general Paraic Duffy should do. [2007-11-28]. ^ Dublin City Council website - Facts about Dublin - Twinned cities 互联网档案馆的存檔，存档日期2012-01-18. 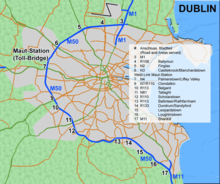 ^ Dublin City Council: Facts about Dublin City. 2006–2009 Dublin City Council. [14 July 2009]. （原始内容存档于2012-01-18）. 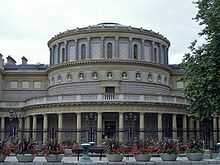 ^ Dublin City Council: Office of International Relations and Research. 2006–2009 Dublin City Council. [1 June 2011]. 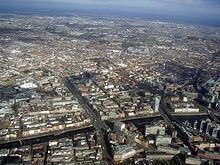 ^ City of San José – Economic Development – Dublin, Ireland Sister City. Sjeconomy.com. 19 June 2009 [23 June 2009]. （原始内容存档于2009年3月13日）. 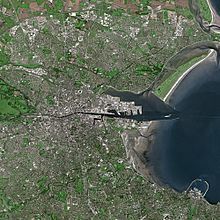 ^ Liverpool City Council twinning. Liverpool.gov.uk. 17 November 2008 [23 June 2009]. （原始内容存档于2010-07-06）. ^ Matsue City. [11 July 2012]. （原始内容存档于2014-03-13）. ^ Ciutats agermanades, Relacions bilaterals, L'acció exterior. CIty of Barcelona. 18 June 2009 [23 June 2009]. （原始内容存档于2010年4月29日）. ^ Dublin signs twinning agreement with Beijing. Dublin City Council. 2 June 2011 [11 February 2012]. （原始内容存档于2012年7月10日）. ^ Coonan, Clifford. Dublin officially twinned with Beijing. Irish Times. 3 June 2011 [3 June 2011]. ^ Coonan, Clifford. Dublin was also in talks with Rio de Janeiro in Brazil about twinning with that city. irishtimes.com. 21 May 2011 [1 June 2011]. ^ Mexican city to be twinned with Dublin, says Lord Mayor. irishtimes.com. 21 March 2013 [29 March 2013].